The Volkswagen Touareg King of Cowes at Skandia Cowes Week. Expect some fierce rivalry as famous athletes join 30 of last year's class winners to race Laser SB3s. 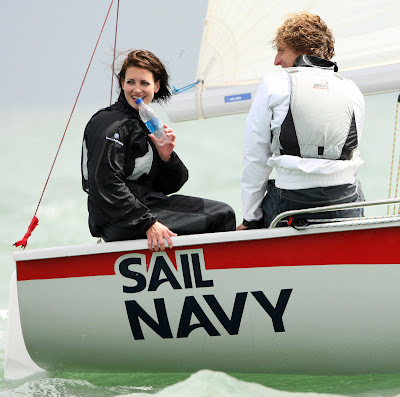 Television sports personality Kirsty Gallacher and former GB Olympic athletes Colin Jackson and Jonathan Edwards are competing in The Volkswagen Touareg King of Cowes @ Skandia Cowes Week regatta today.